Vice Chairman, Hyundai Motor Co.
Woong-chul Yang wants Hyundai Motor Group to transcend its history as a fast-follower on technology, innovation and quality, insisting on a homegrown effort. And by the looks of it, the South Korean juggernaut has made stunning progress. 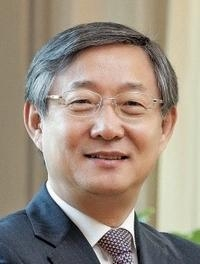 As global r&d chief, Yang, 64, has overseen a fast-paced blitz of new powertrain technologies, spanning hybrid, hydrogen and all-electric drive. He's done that while carving out a new luxury brand with Genesis and fleshing out respected performance-oriented sublines for the Hyundai and Kia mass-market brands. Next, add an injection of world-class autonomous driving technology, all done without the network of global alliances relied on by much bigger rivals. Lesser companies might have allowed quality to slip while trying to juggle such ambitions. But under Yang's tenure, quality scores have only rocketed to the top of the pack. A sign of the times: Genesis, Kia and Hyundai finished one-two-three on the closely watched J.D. Power new-vehicle quality study released in June. It was a first for the South Korean motor group.